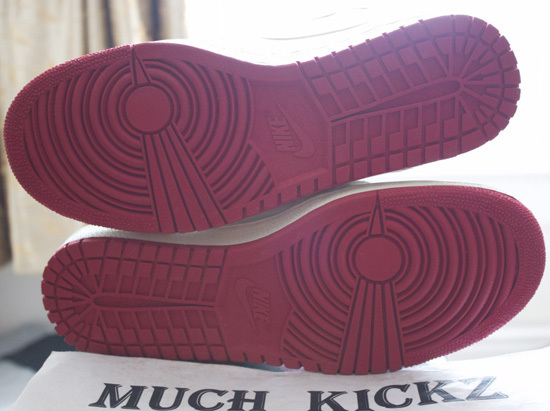 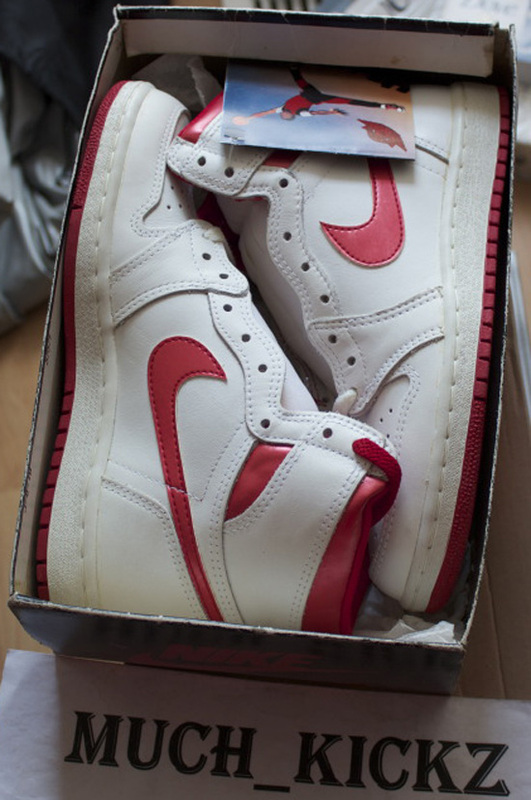 The elusive original Nike Air Jordan I in a very rare colorway. 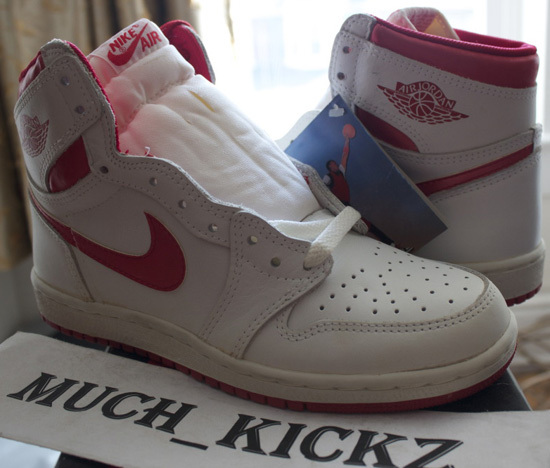 Still one of the most sought after sneakers, check out the auction here. 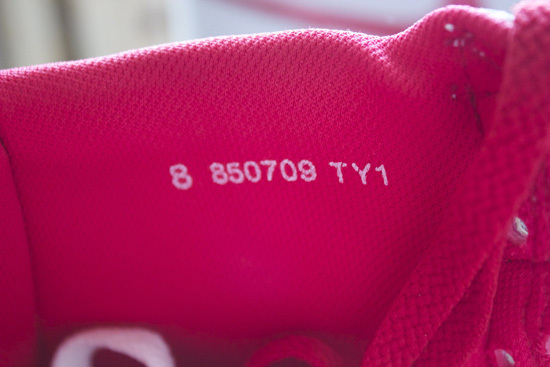 Its not everyday you see something like this. 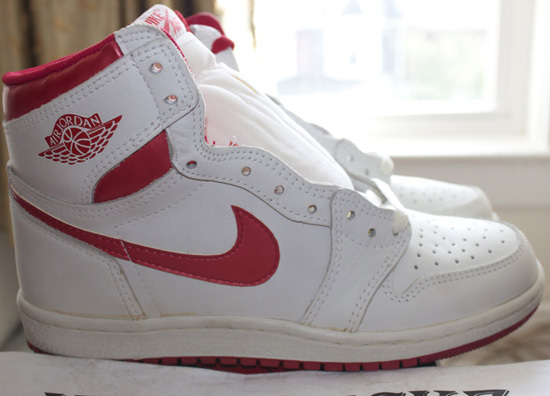 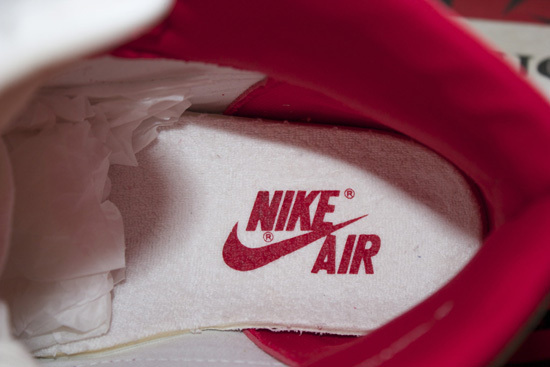 An original pair of Air Jordan I's in a rare white and metallic red colorway. 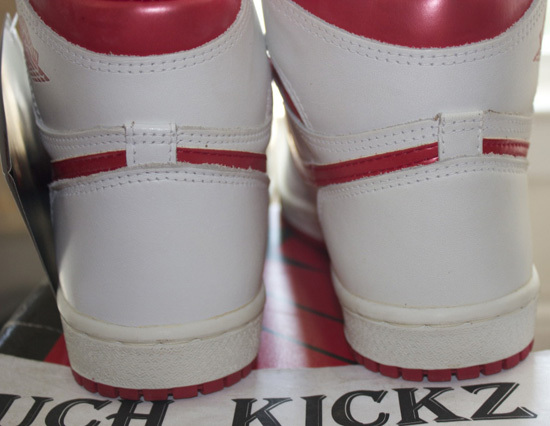 They feature a white leather upper with metallic red accents. 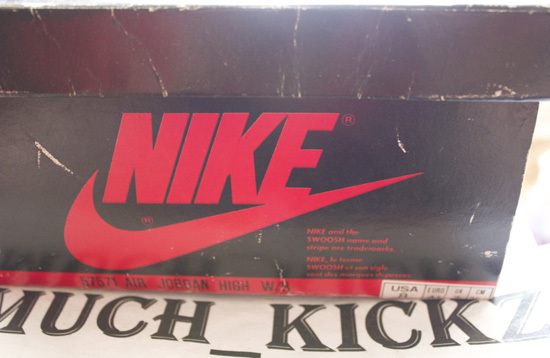 To top it off, this pair not only is in brand new deadstock condition with both sets of laces, they also come with their original box and hang tag still attached! This whole package is one of the rarest to ever surface. 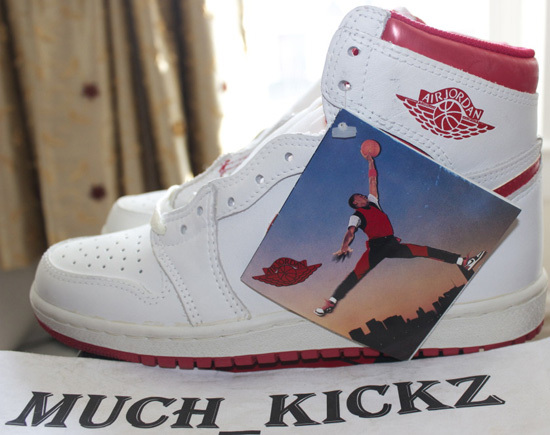 After over twenty years since its original release, these were retroed in 2009. 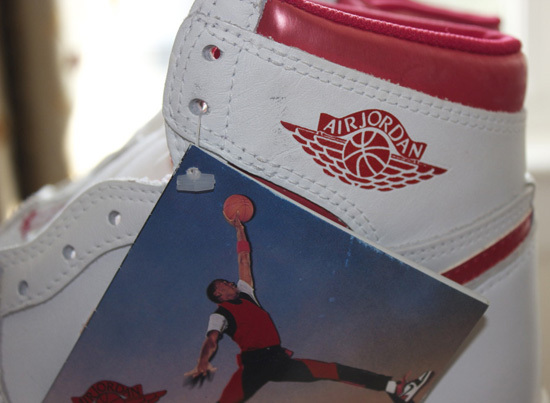 However, nothing compares to an OG! 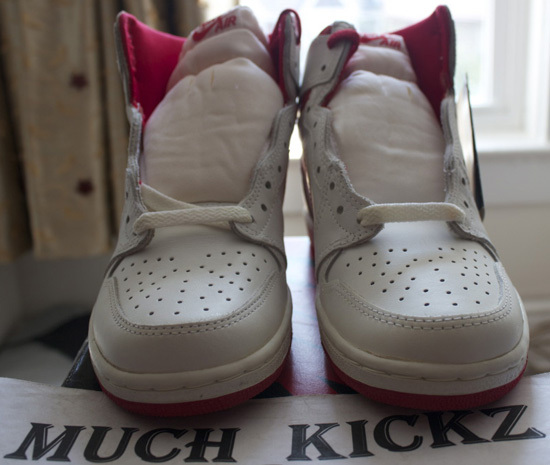 Check out the detailed images below and if you're interested in obtaining these holy grails, click here to grab them on eBay.